Lee Clayton (born October 29, 1942 in Russellville, Alabama, United States) is a country musician and composer. His style has been described as in between rock and country. Clayton grew up in Oak Ridge, Tennessee and began to play harmonica and guitar at the age of 7. At 9 he received his first steel guitar. After quitting the Air Force he moved to Nashville in 1968 and began his career as a songwriter. His style has been described as in between rock and country. Clayton grew up in Oak Ridge, Tennessee and began to play harmonica and guitar at the age of 7. At 9 he received his first steel guitar. After quitting the Air Force he moved to Nashville in 1968 and began his career as a songwriter. His first success was the song "Ladies Love Outlaws" which became a Number 11 hit in the Billboard Charts by Waylon Jennings in 1972. The country music style outlaw country was derived from that song. In 1973 he released his first album simply titled Lee Clayton, with which, as Clayton would later say, he was very dissatisfied. In the following years he continued his songwriting. He wrote songs like "Lone Wolf" for Jerry Jeff Walker or "If You Could Touch Her at All" for Willie Nelson. In 1978 his second album, Border Affair, was released. It was critically acclaimed but became a flop at the charts. His most successful album was 1979's Naked Child. 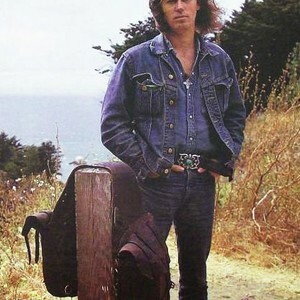 The songs' style was reminiscent of Bob Dylan and the single, "I Ride Alone", became very notable. In 1979, he went on a big world tour which became a huge success. In 1981 he released his last studio album, The Dream Goes On, which had a harder sound than his previous work. After that he published two autobiographical books and, in 1990, released a live album entitled Another Night which was recorded in Oslo. Also in 1990, The Highwaymen, an outlaw country supergroup comprising Johnny Cash, Waylon Jennings, Willie Nelson and Kris Kristofferson, had a minor hit with a song of his, "Silver Stallion", which had previously appeared on Border Affair. In 1994 he released the album Spirit Of The Twilight. indie artist Cat Power also covered "Silver Stallion" on the popular 2008 cover album Jukebox. Today Clayton's career has largely gone silent. A music video was released in 2008 on Youtube of Lee Clayton performing a song entitled "We The People," expressing Clayton's political views, this being the first that has been heard of Clayton since Spirit Of The Twilight.